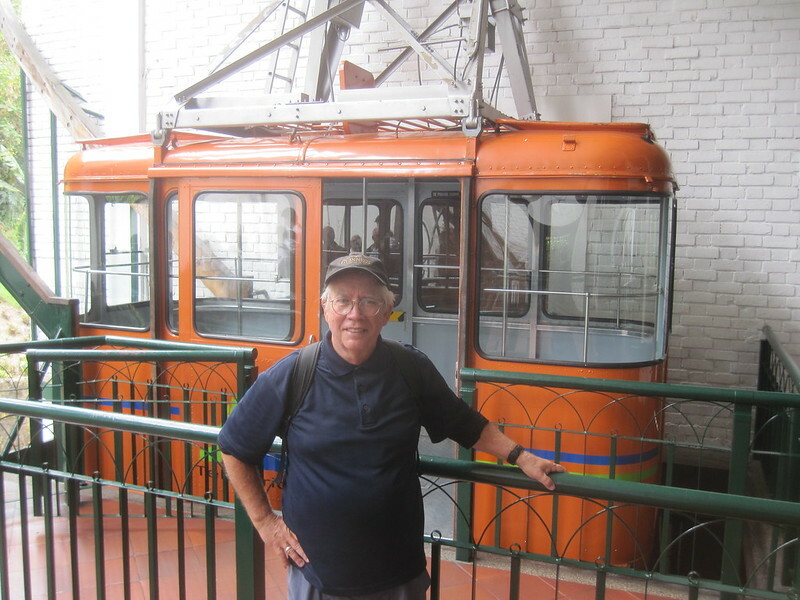 The cable car (teleférico) to Monserrate has been in service for over 50 years. There are some great views going up. Finding it, however, was not the easiest thing I have ever done. Not the hardest either, but it would have been nice if there had been a sign or two. Then again, once you spot it going up the side of the mountain, just keep walking towards it. 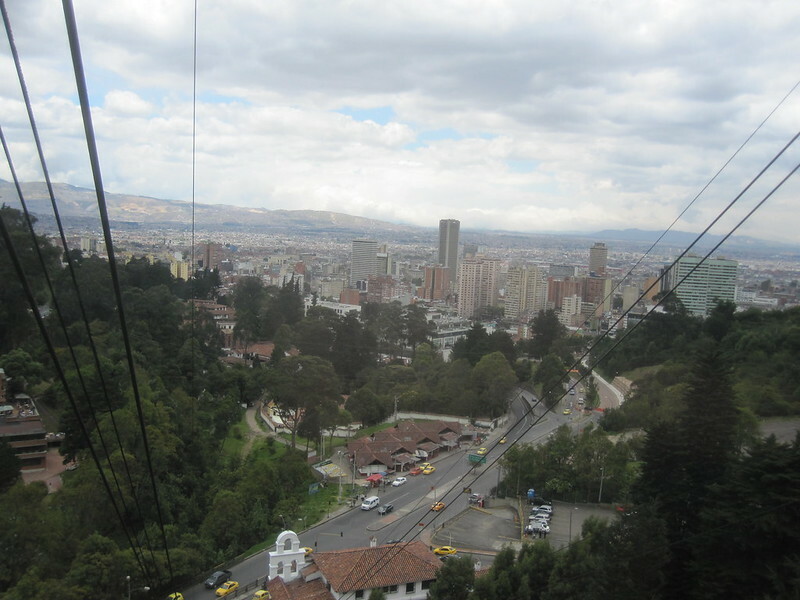 This entry was posted in Travel and tagged Bogota, Colombia on May 20, 2012 by Steve. The Teleferico is close to downtown. The downtown does not have as many really big buildings as you might think. It does have a few, but I would have thought it might have had more. They give great advise, I don’t care what Lonely Planet says. Actually, I’m not absolutely certain that the writers who cover South America have ever been there. There is some speculation that they wrote the South America book from a sleazy hotel in Portsmouth, NH. But, if you’re in Bogata and you need some advise and your at the main square, go to the corner of the square closest to city hall and get yourself some good advise. 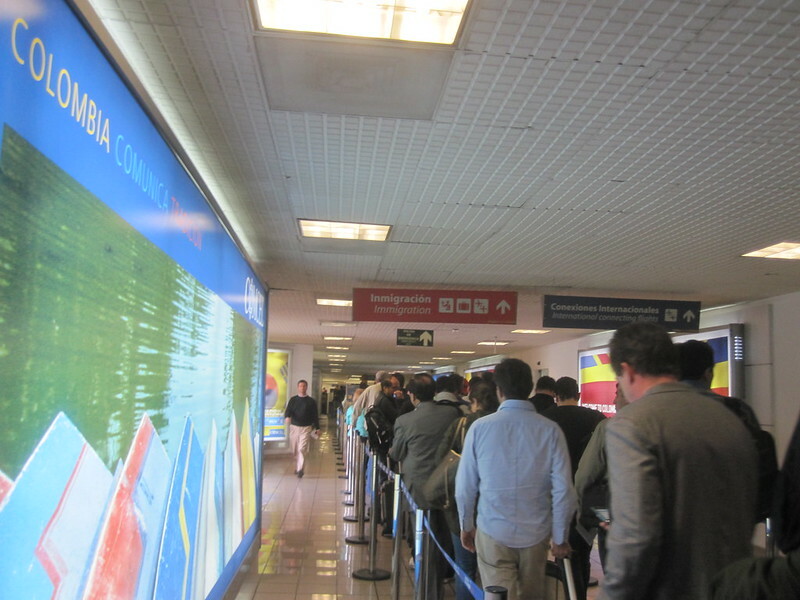 I don’t care what they say, there was no way I could feel welcome anywhere when I had to stay in line for as long as I had to wait in the line to clear customs in the Bogota airport. Yes, I know what he signs said but it was so obvious that the country of Colombia could have cared less about my happiness or well being. Had they been as concerned as their signs said they were they couldn’t have possibly made me wait as long as they did. The only time I’ve had to wait longer to get into a country was when I went to India. I waited for over an hour at that time and I felt I was lucky to have found a line that was just opening up. I will admit that it’s getting worse all over the world. Not only that, in Colombia a person can’t take their cell phone out of their pocket while they’re in line. I know. I saw several people being threatened with having their phones taken away from them for using it while in line. 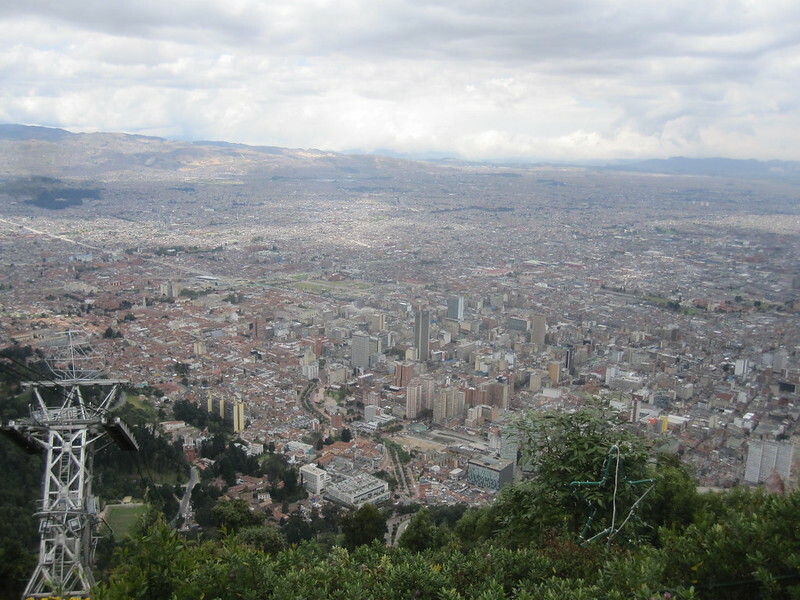 Monserrate is a mountain that forms much of the backdrop to the city center of Bogotá, the capital city of Colombia. The mountain rises to over 10,000 feet above sea level. There is a 17th century church with a shrine, devoted to The Fallen Lord onj the top of the mountain. 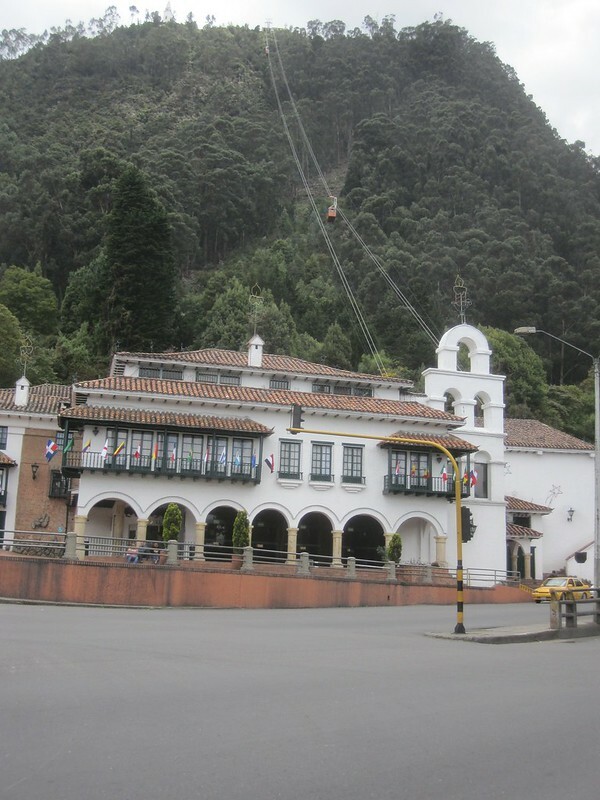 Monserrate has become a pilgrim destination for local and regional Catholics, as well as a major tourist attraction. In addition to the church, the summit contains restaurants, a cafeteria, a souvenir shop and other tourist facilities. Monserrate can be accessed by aerial tramway, a funicular or by climbing, the preferred way of pilgrims, although the climb is discouraged due to the probability that the pilgrim may be robbed. .
It’s a really nice piece of equipment. It takes a nice picture as well. It moves at a nice steady clip. While on the bike tour I got to see a demonstration. It seems the teachers were having a problem with something and so they took to the streets. 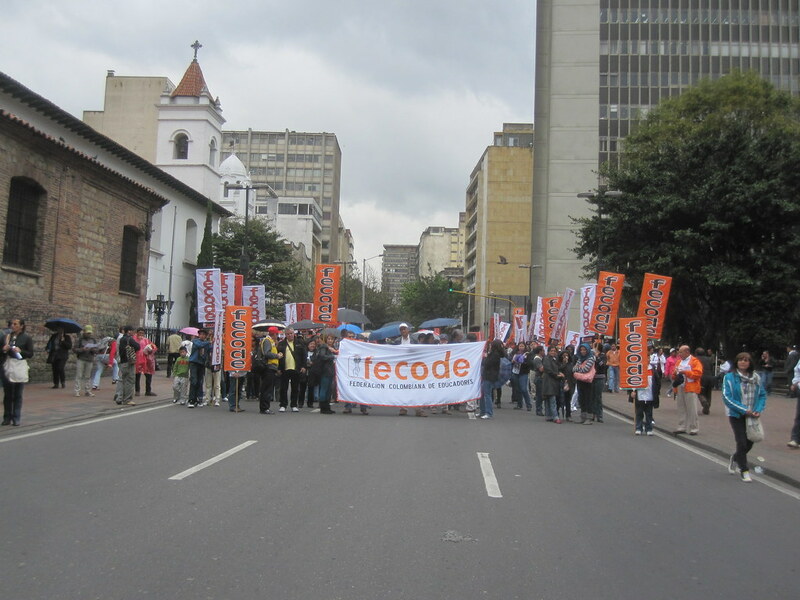 I was informed that protests are something of a frequent occurrence in Bogota. Someone is getting politically disenfranchised virtually every week, just like in the USA. Only in Colombia, they tend to protest a little more and, since the military always comes out to help them do the protest, sometimes things get a little violent. It seems it may the “Colombian Way”, after all the country is still in an armed civil war that has lasted about 45 years now. People have told me that the anti-government guerillas were banging on the doors of Bogota about 10 years ago, but the government has gained the upper hand since then. Nice job, government of Colombia. For more details click here. 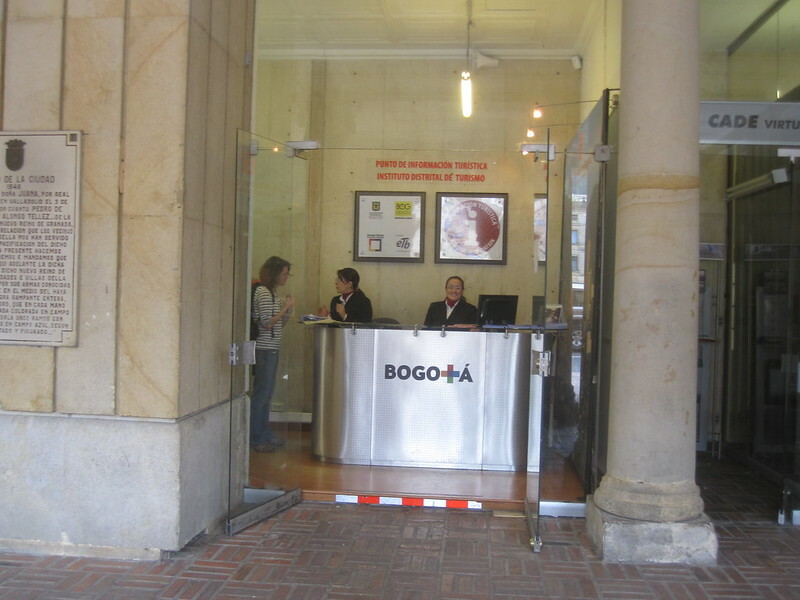 This entry was posted in Travel and tagged Bogota, Colombia on September 14, 2011 by Steve. I took this picture with the purpose of making a little art. 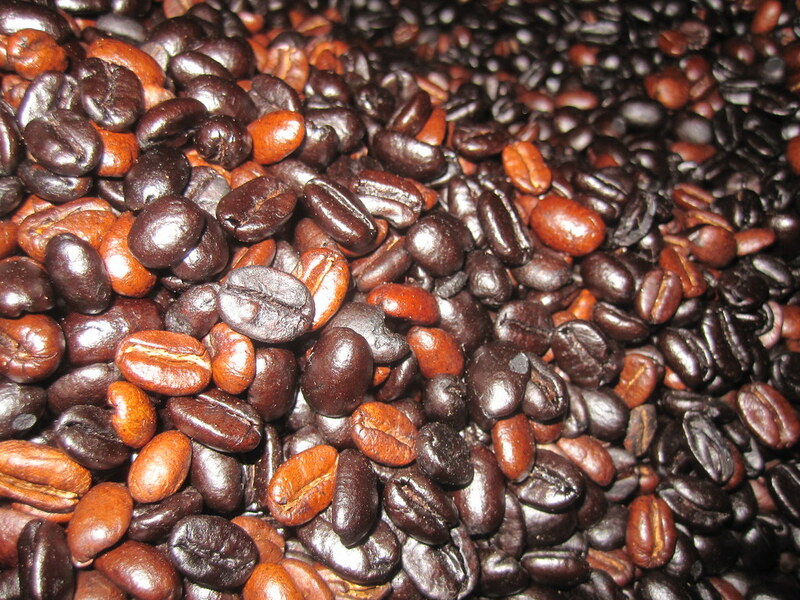 There were a bunch of us, standing around a roaster, taking pictures to see who could take the best picture of the beans. The winner was, of course, the person with the best camera. People with expensive cameras tend to take better pictures, not just because they can afford better equipment, but also because they attempt to learn how to make better pictures with that better equipment. This was my best result. I think I’ll make an 8 X 10 and hang it up on a wall somewhere. The fellow who made the latte for several of the group made sure that we all got to see him make several designs for the customers. We were told that he was practicing for a design competition to see who could make the best design in the latte they poured. 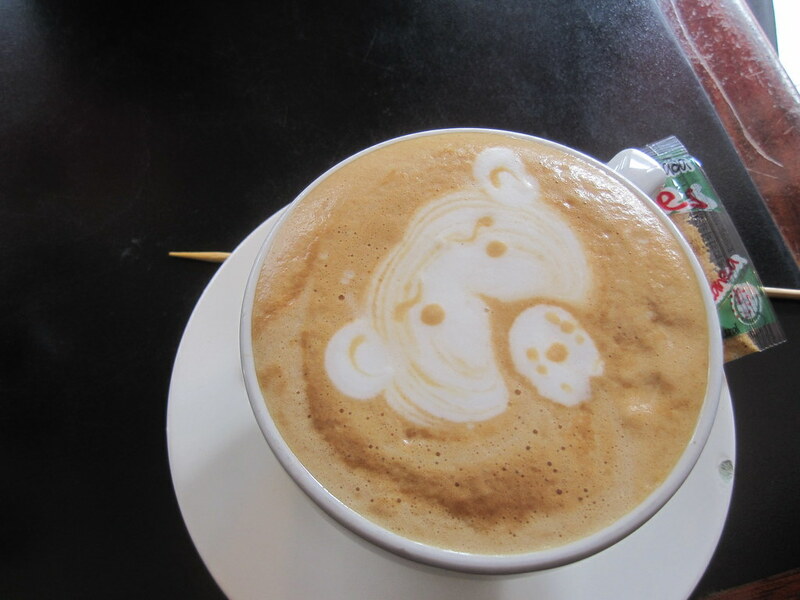 It was my first experience with latte designs. I hope it won’t be my last. 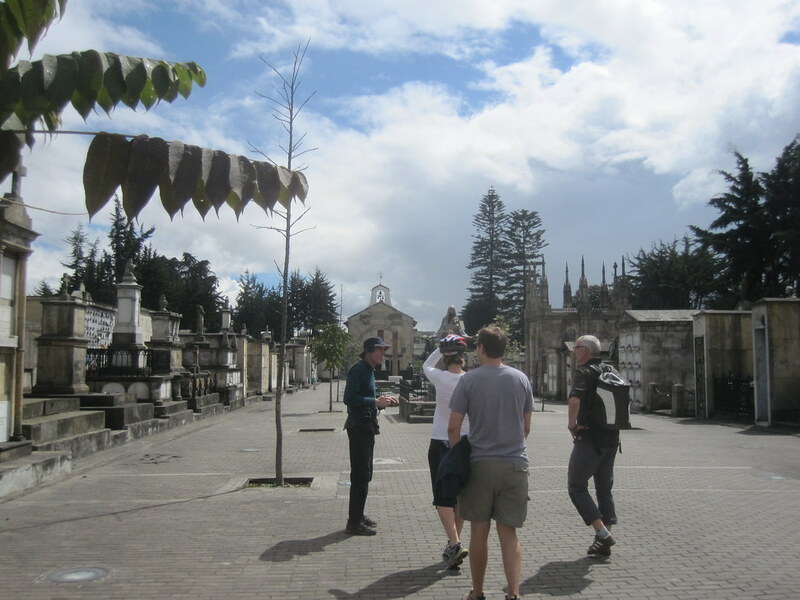 We went to see the Central Cemetery of Bogota on the bike tour. There are, supposedly, many prominent Colombians buried there. Our guide told us that there were 22,000 people buried in the crypts. That’s a small city.